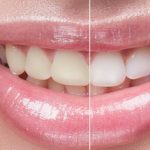 Oral Hygiene Aids- Tips and tricks everyone must know! 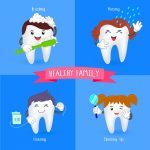 If you’re somebody who loves taking care of your teeth you’ll love this page. Here are some extra tips that will make your teeth happy and healthy! Always use a soft brush. You may feel that you may need to brush harder to make sure your teeth are clean, but the key word is to brush longer. Take time to brush each tooth. Brushing too hard wears the enamel and causes sensitivity. Replace your toothbrush every three months and make sure you keep them clean after each use! Electric toothbrushes can be certainly beneficial, but with the right technique your manual toothbrush can be equally efficient. Try a small head tooth brush for your sleepy and hiding wisdom teeth. Try switching every 3 months. Every tooth paste is different, that’s why just like your skin care products or your hair care products, switching to a different tooth paste every 3 months can help you reap the benefits of them all. For sensitive teeth leave the tooth paste in the area longer. Leaving the toothpaste on the sensitive area overnight helps the tooth paste act better. Tooth pastes are also more effective when you spit and don’t rinse after brushing. Your dentist can prescribe you a high fluoride tooth paste if you’re prone to cavities. Less is more!! !Don’t go by advertisements! A pea size amount is more than enough! Dental floss should never be an option or a once in a blue moon tool. Using dental floss as your daily regimen is as important as using your tooth brush. You only realize its importance when despite your thorough brushing, you go to the dentist and learn you have cavities in between your teeth! There are many varieties of dental floss in the market now, the ones with handles are of great help to get right to your back teeth. Trial and error is the best way to figure which dental floss best suits you. They are excellent tools to maintain gum health. Look out for SUPER floss which will help to keep clean any bridges that you may have. Little small wonders. Small enough to fit every pocket this oral hygiene aid does a big job in keeping your gums and teeth healthy. The key to these are however the size you choose. The size of the brush should be just enough to fit in between your teeth gently but not too small that it does nothing. Must haves and must do’s for patients undergoing orthodontic treatment as well as those developing gum disease. Swish, gargle and spit! This 30s regimen will help in reducing the bacterial count as well as leaving you with a fresh breath. The type of mouth wash varies and is best ask your dentists opinion on it. Only few need to use them however as they do tend to reduce the number of good bacteria along with the bad ones! KEEP VISITING THIS PAGE FOR MORE UPDATES! !